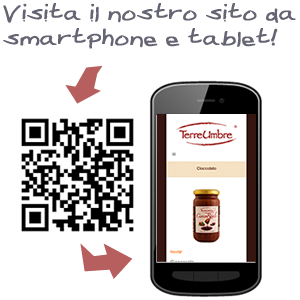 Following the art of the master chocolatiers, Terre Umbre invented CIOCOREALE. 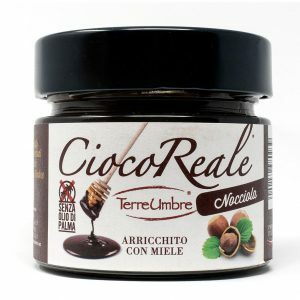 The goodness of Italian hazelnuts, the pleasure flavor of chocolate and the energy of honey finally come into a spreadable chocolate cream, smooth and velvety, with a right balance of sweetness and bitterness for a wonderful round and enjoyable flavor. 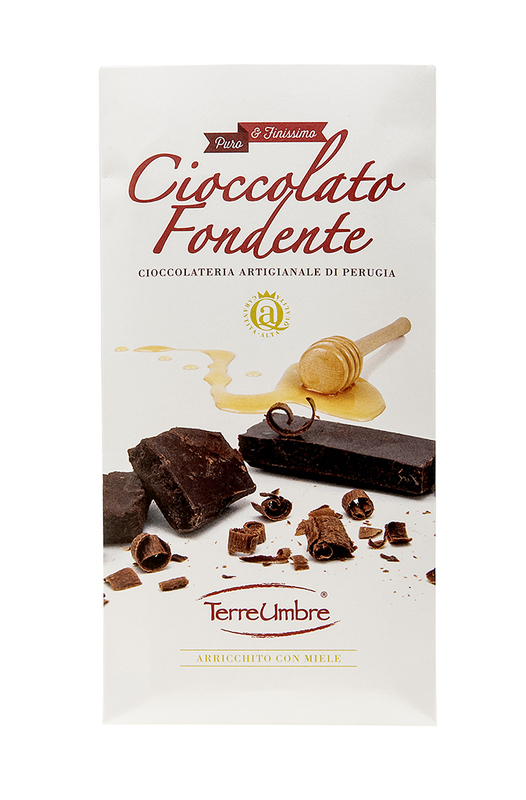 The melt-in-your-mouth texture makes CiocoReale go really well with bread or be fillings of cupcake, muffin, soufflé, chocolate molten lava cake, and a lot of other desserts. 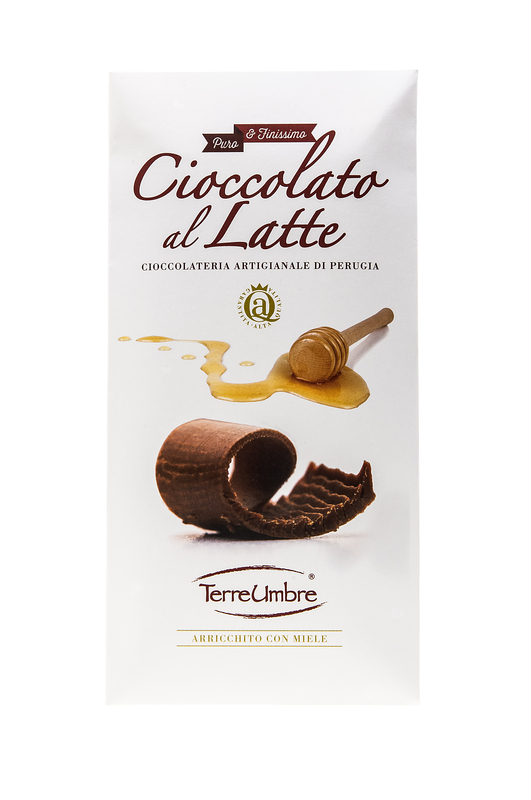 Can be use as a sweetener for Espresso, Black coffee, Caffè latte, or even Cappuccino for a delightful moment with an intense taste. 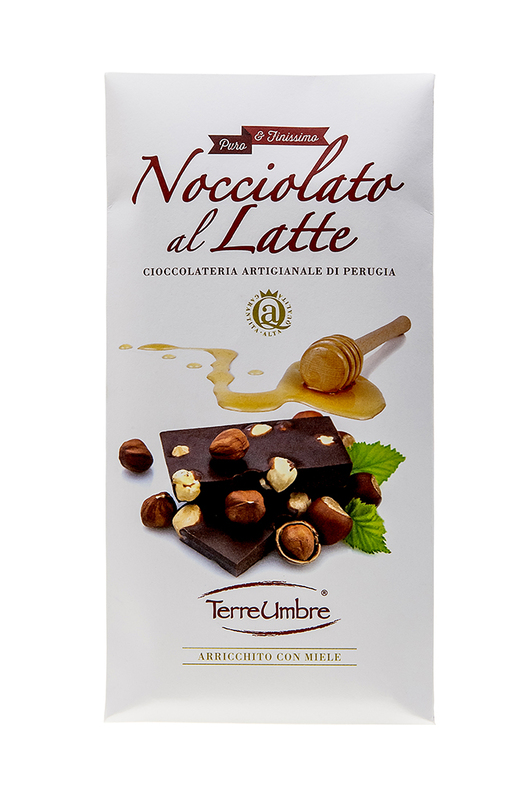 From the art, experience and taste of the Cioccolateria Artigianale of Perugia, Terre Umbre realizes its chocolate creations with imagination and balance using first quality ingredients and always looking for new combinations. Without palm oil, with the addition of honey. Pure white chocolate bar with pure dark chocolate chips. Contains: 33% minimum cocoa, sugar, whole milk powder, cocoa butter, puffed spelled (3.5%), soy lecithin, natural vanilla flavor. Pure white chocolate bar with pure dark chocolate chips. 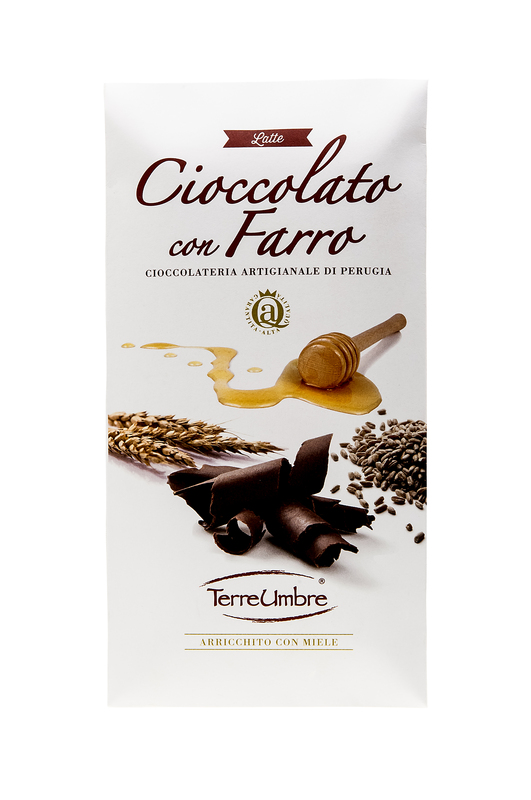 Contains: sugar, whole milk powder, cocoa butter, pure dark chocolate grains (15%), soy lecithin, natural vanilla flavor. Extra dark chocolate bar. 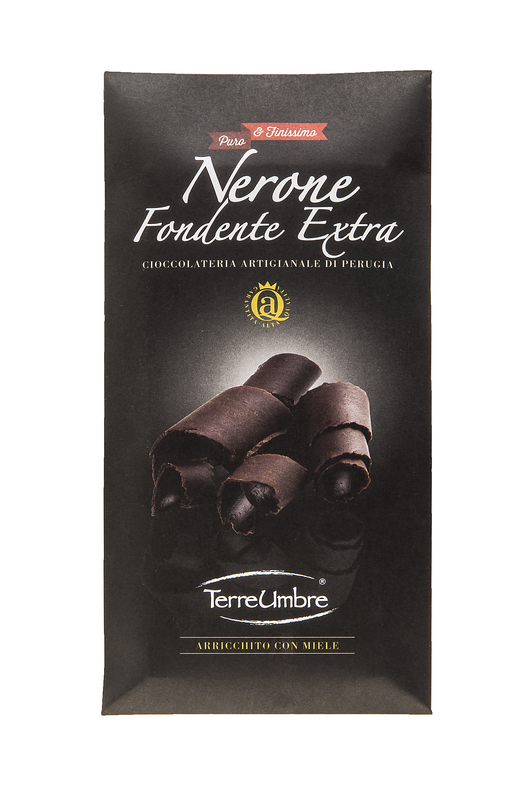 Contains: minimum cocoa 73%, sugar, cocoa butter, low-fat cocoa powder. Pure milk chocolate bar. Contains: 33% minimum cocoa, sugar, milk powder, cocoa butter, soy lecithin, natural vanilla flavor. Pure milk chocolate bar with hazelnuts. 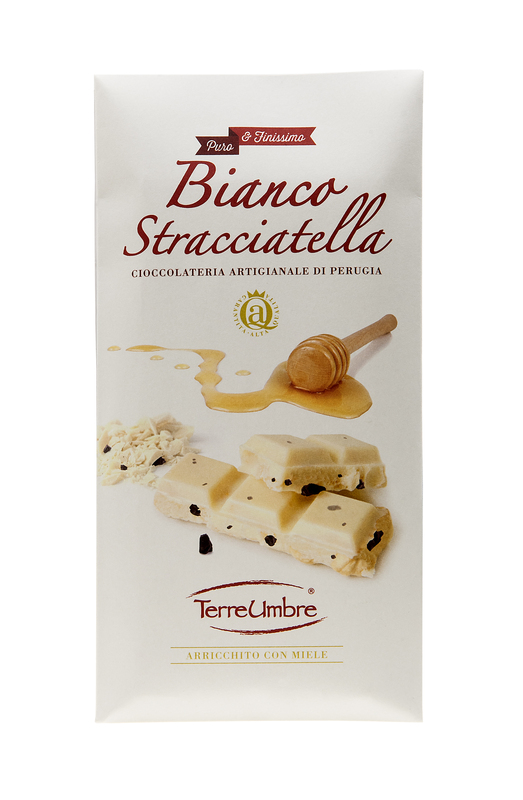 Contains: 33% minimum cocoa, sugar, milk powder, cocoa butter, hazelnuts (13%), soy lecithin, natural vanilla flavor. 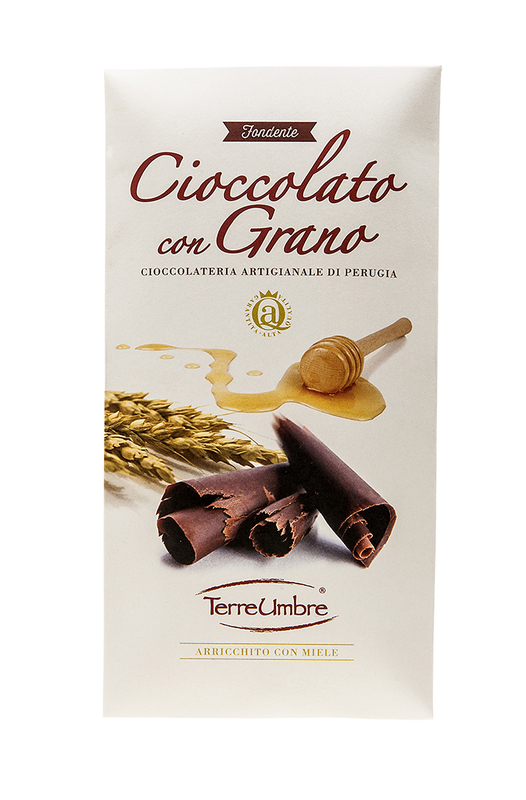 Pure chocolate bar with wheat. Contains: 33% minimum cocoa, sugar, milk powder, cocoa butter, wheat, soy lecithin, natural vanilla flavor. Plain chocolate bar. 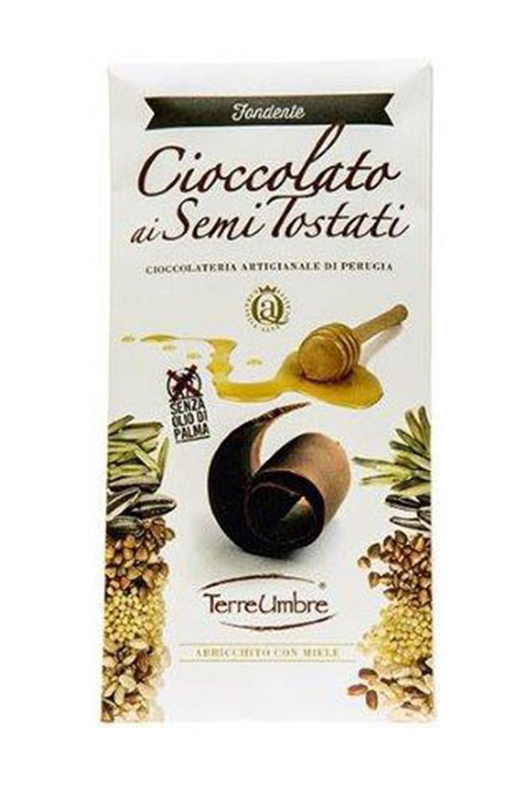 Contains: cocoa 56% minimum, sugar, cocoa butter, roasted seeds 10% (sunflower seeds, buckwheat, pumpkin seeds, linseed, sesame), Italian honey 1%, soy lecithin, natural vanilla flavor. Plain chocolate bar. 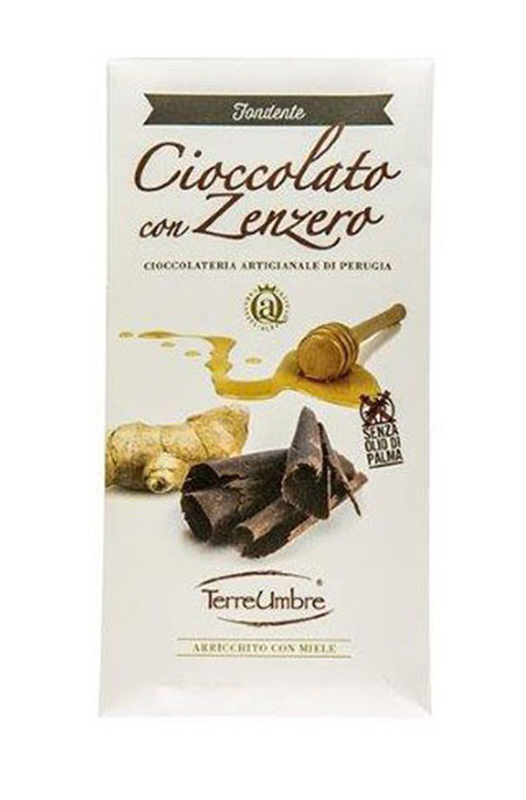 Contains: cocoa 56% minimum, sugar, cocoa butter, ginger, Italian honey 1%, soy lecithin, natural vanilla flavor. Plain chocolate bar. Contains: 52% minimum cocoa, sugar, cocoa butter, anhydrous milk fat, soy lecithin, natural vanilla flavor. 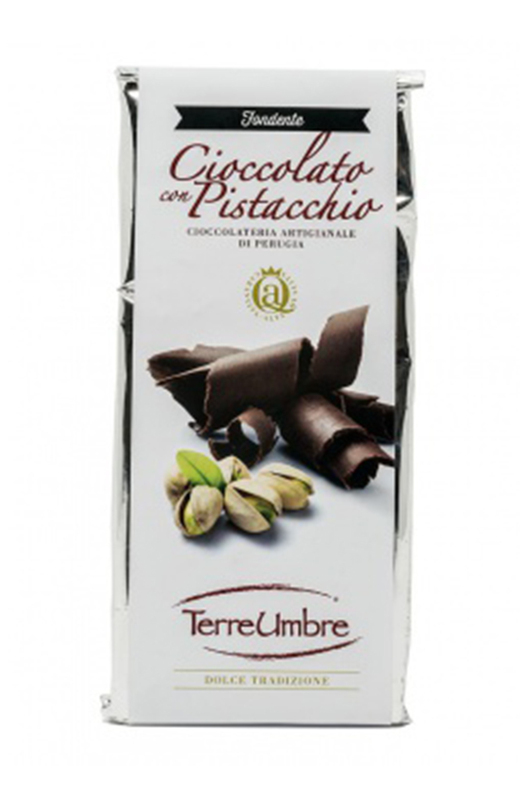 Pure dark chocolate bar with the addition of pistachio.